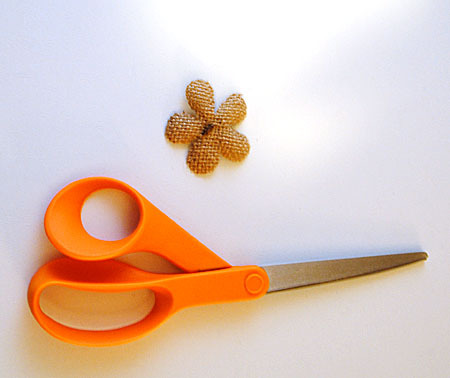 Today I’m sharing a fun Recycled Crafts project! 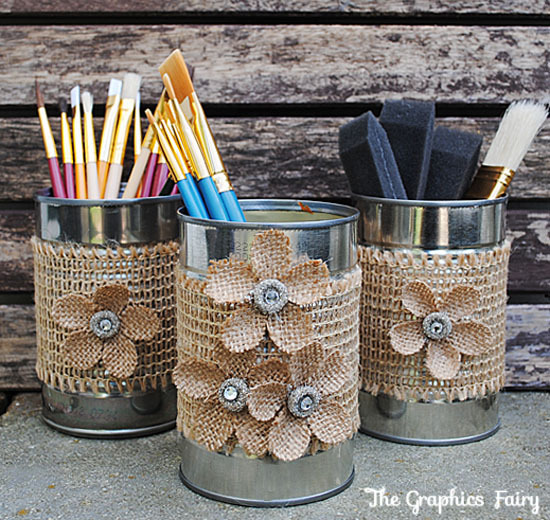 These are some cute Tin Can Organizers that I made to hold my paintbrushes in my new craft room, and they were super easy to make! When I was at Haven Conference last week, I roomed with Johnnie from, Saved by Love Creations, Johnnie is known for her amazing green crafts and I think her recycling ways must have rubbed off on me. It’s just so darned convenient to rummage through your recycling bin, to find what you need for your next project, and the price can’t be beat! I used some old tin cans, and some burlap ribbon and embellishments by David Tutera, that were left over from a previous project that I made (a burlap bunting) HERE. Step 2: Using a paintbrush, I applied the Elmer’s Blue School Glue Gel, just to the button portion of the flower. Step 3: Next I dusted on my favorite silver glitter. If you read my blog, then you know that I usually always use German Glass glitter, which is my favorite. 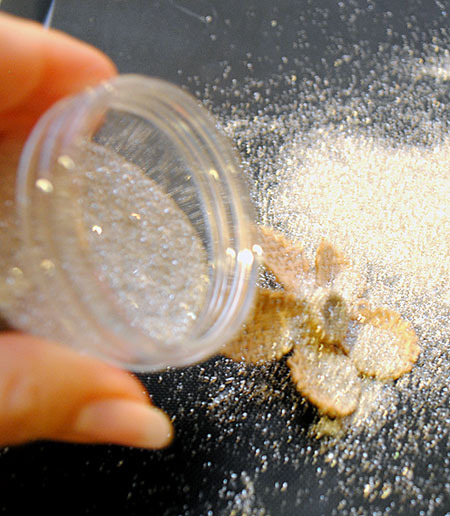 I did the same here, just keep in mind, that this glitter is made of crushed glass and is really not child friendly. 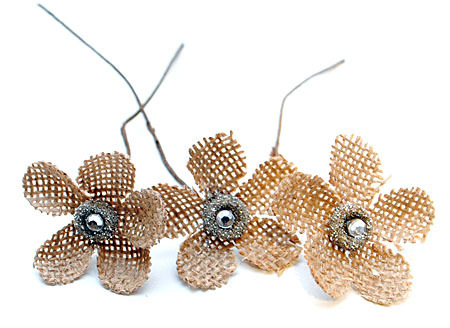 Step 4 ) I used some of these peel and stick rhinestones to add a little more sparkle to the center of each of the flowers. They fit in the center perfectly! 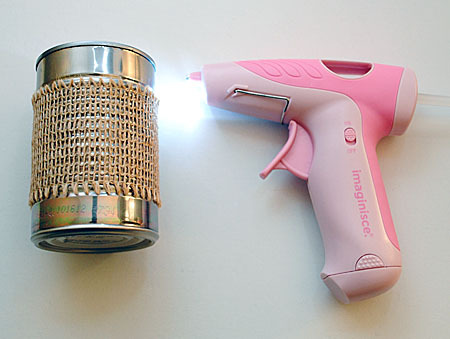 Step 5) I cut the burlap to fit the can and then hot glued it on using my shiny new glue gun! Step 6) Lastly, I snipped off the metal stem and hot glued the flowers to the front of the cans. That’s it! I like how the sparkle from the tin coordinates with the sparkle from the flowers. 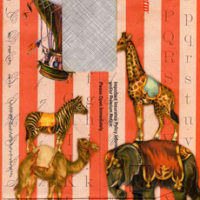 Of course you could use whatever embellishments you like, or have on hand. I like that you can store so many things in these, like colored pencils, markers etc. I’m planning on making a few more in hopes that I’ll be super organized in my new craft room! 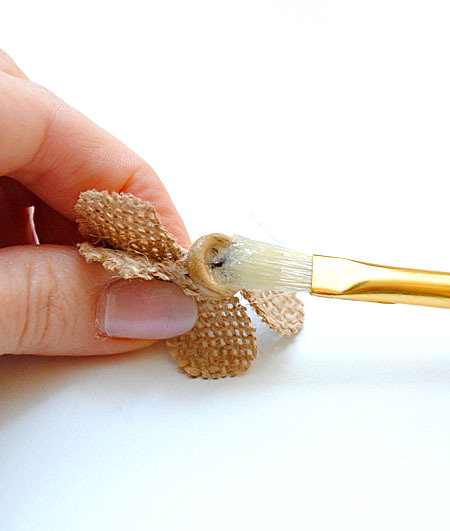 If you like making green crafts, check out Johnnie’s other site, that she runs with her crafty friend Amy, at Totally Green Crafts. 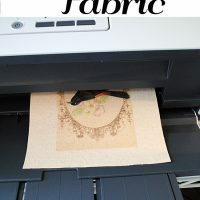 Make Thanksgiving Napkin Rings with PhotoFabric How to Print on Fabric – Freezer Paper Method Repurpose Junk Mail for Junk Journals! I adore these! 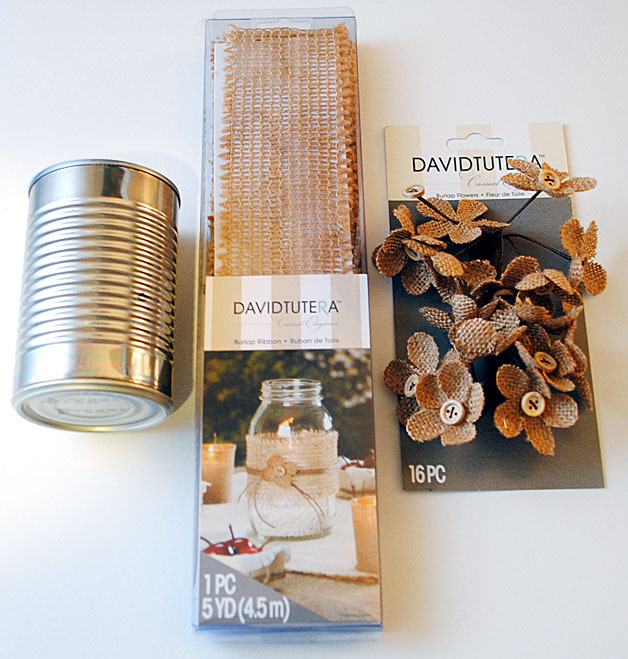 I am such a little tin can craft junky. They are so fun to work with. THESE are super extra darling though. Love the sparkle factor. It makes them extra special!! Thank you Shannon!! You are too sweet! I love that idea Mary Helen! Thanks so much for sharing it!! Aw! Thanks Johnnie!! Soon, I hope! I miss you too!! I agree with Mary above…these would be adorable back-to-school gifts! I need some new pencil organizers, as my youngest just tossed my old coffee mug the other day. I have been saving various cans for a couple of weeks, knowing that I want to make something similar. 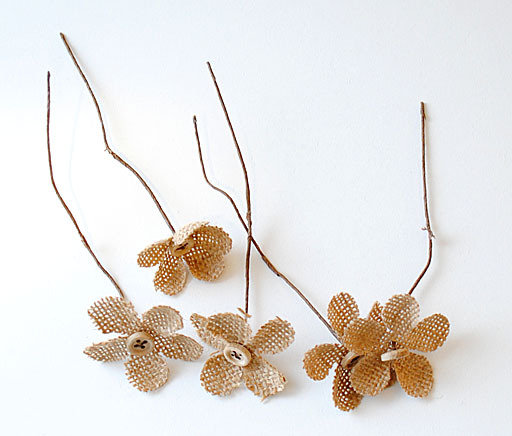 I love anything organic like the burlap flowers and ribbon. 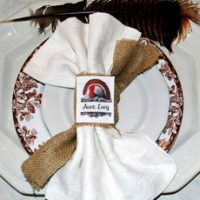 I will definitely be embellishing some of my cans with some yummy burlap. Thanks for sharing, Karen. I love your new pen holders! Thanks for your sweet comment Laura! 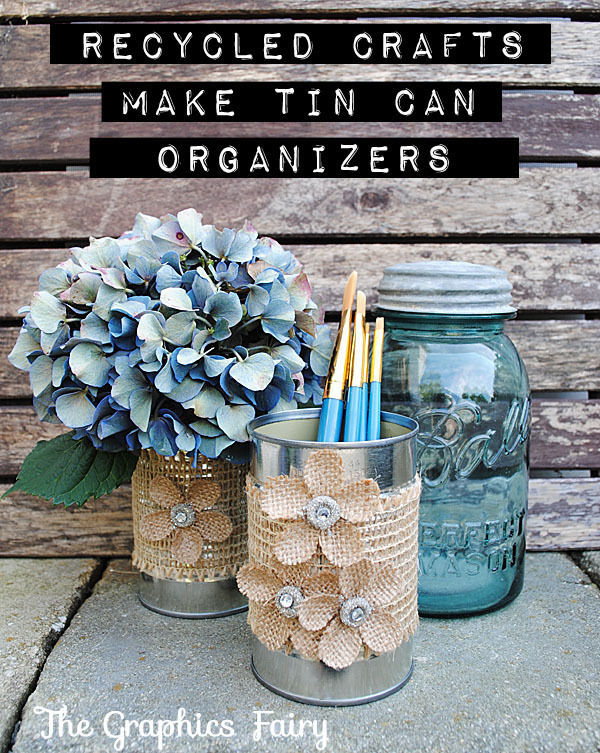 And have fun crafting with your cans!! These are super cute! 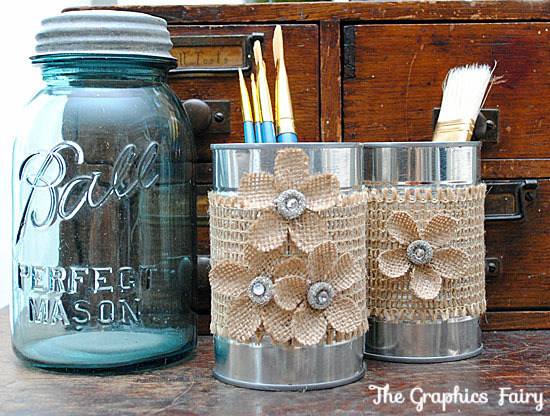 I have seen a ton of tin can projects, but these are by far my favorite!!! I love these! What a chic upcycle. I featured your project today on Creative Green Living. The blue flower bouquet in your cover photo on the left really looks great. I am going to do this but put my favorite make up in it instead so it looks pretty lined up in my bedroom & I have quick easy access for my make up.